Be nice to the Protectron, or thrash it to death for its important parts for crafting? Decisions galore! This inspired toy utilizes the aesthetic of Fallout and the robot character, Protectron! 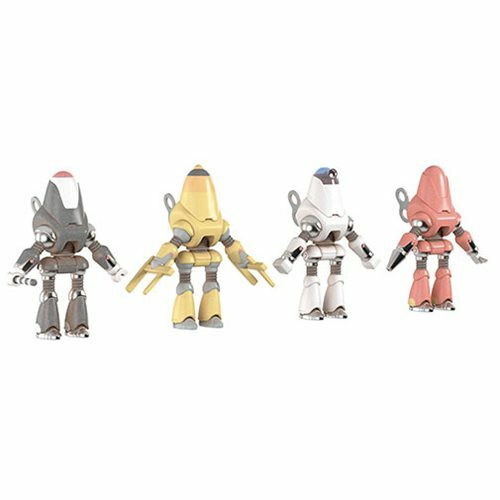 This Fallout Tin Wind Up Protectron Figure Series 1 Case features figures that are a blend of tin and plastic and has several different color and pattern variant versions with optional Wind-Up function included. The Fallout Tin Wind Up Protectron Figure Series 1 Case contains 6 individually packaged Protectron figures.